OSWEGO – The Port City has many fire hydrants. Some of them are the same; many aren’t the same. And there are some that are almost the same – but not quite. 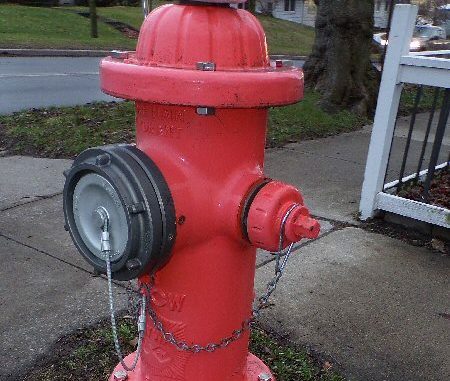 At Monday night’s Administrative Services Committee meeting, Tom Kells, Commissioner of Public Works, recommended standardizing the purchase of all fire hydrants within the city through the manufacturer Kennedy Valve. “Currently, there are several different models of fire hydrants in the city,” Kells said Monday night. Some of them are no longer manufactured, which makes finding parts for them virtually impossible. Some of the other older models don’t meet current American Water Association standards for optimum fire protection, he added. There is also a large expense involved in maintaining a spare parts inventory for each different model, he told the committee members. It’s also difficult to keep crews trained on the repair procedures for each different model. “Standardizing the fire hydrants would save the city time and money,” he said. The full council will consider the recommendation at its meeting next week. They’ll have to run that by Kevin first, to see if he approves.